Kate & Steve are Moving to Seattle! After a little more than two years in Olympia, we have accepted work in Seattle and will be movin g north in mid-November. Kate will be the new Director at the Dusty Strings Music School to manage the school, concerts and events on Fremont. We have found a nice place to live up the hill and look forward to developing community through music and art in Seattle. After November, you are apt to find us in the noble underground of Dusty Strings as we develop classes, workshops, concerts and events and continue the work to build community through music. Please join us however you can! 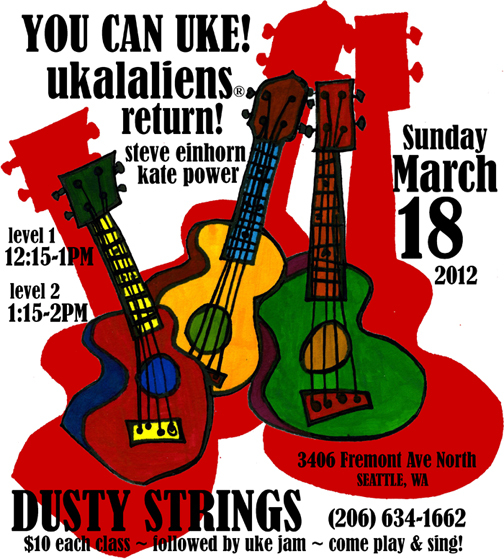 Ukalaliens will continue to discover how to play ukuleles with Steve in libraries and nooks of the Pacific Northwest – with a focus on Seattle neighborhoods in the coming year. Art will continue to flow wherever we go. 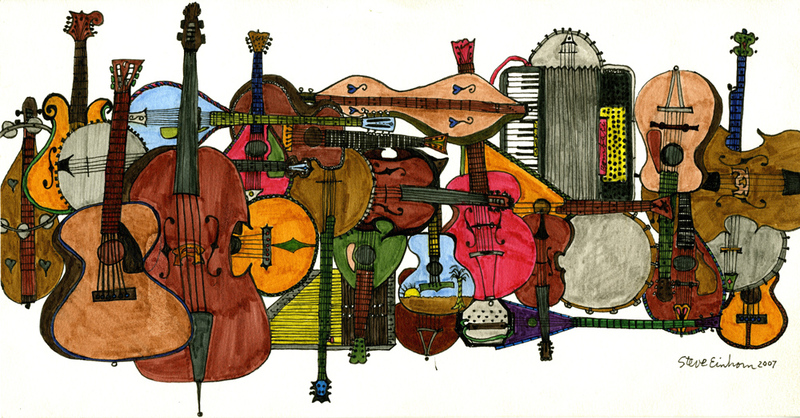 Stay tuned to our qualityfolk.com calendar for Kate & Steve concerts, workshops and special events in and outside of Seattle – and look to Dusty Strings at dustystrings.com for concerts, classes and events in the Music School in the year ahead. We are bound for a great adventure in this next chapter. We’ll be sure to let you know what we find. Thanks for following the winding road with us.